11-day Spain & Portugal cruise with Cunard’s Queen Victoria. Discover the best of La Coruna, Cadiz, Malaga, Cartagena, Gibraltar and Lisbon on this Iberian cruise with Cunard. With luxurious marbles, woods and rich fabrics Queen Victoria exudes elegance and is adored by her crew and passengers alike. The Royal Spa comprises breathtaking ocean views, relaxation areas, beautifully appointed treatment rooms, indulgent therapies and a panoramic glass encased Fitness Centre. Join Cunard Cruise Line on this Spain and Portugal roundtrip Iberia cruise from Southampton on board Cunard’s Queen Victoria. 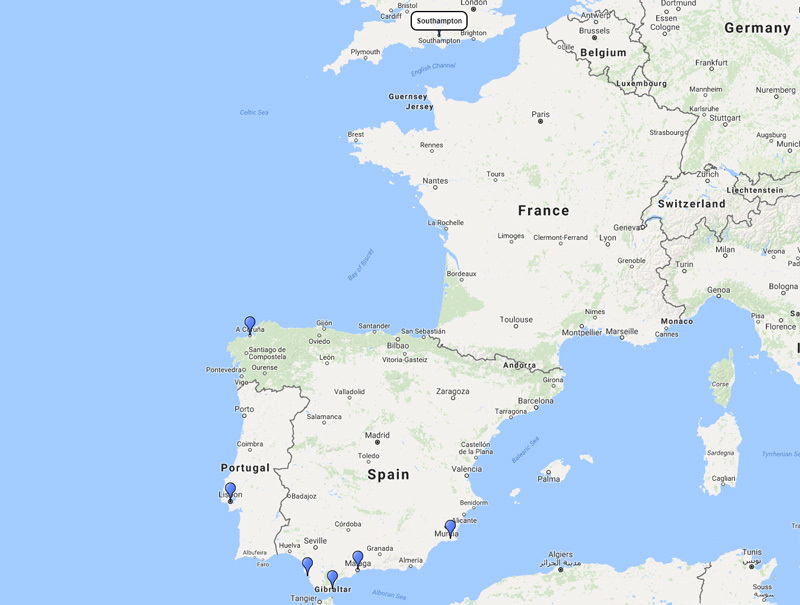 Visit La Coruna, Cadiz, Malaga, Cartagena, Gibraltar and Lisbon. Queen Victoria leaving Southampton, UK for 11 nights from 5 November 2018.